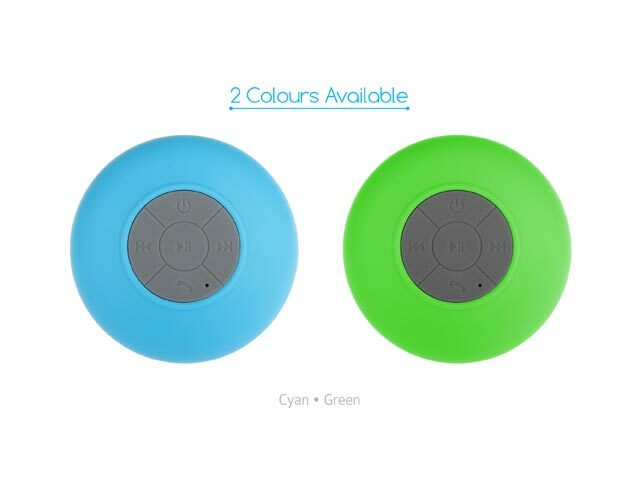 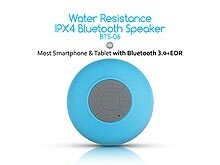 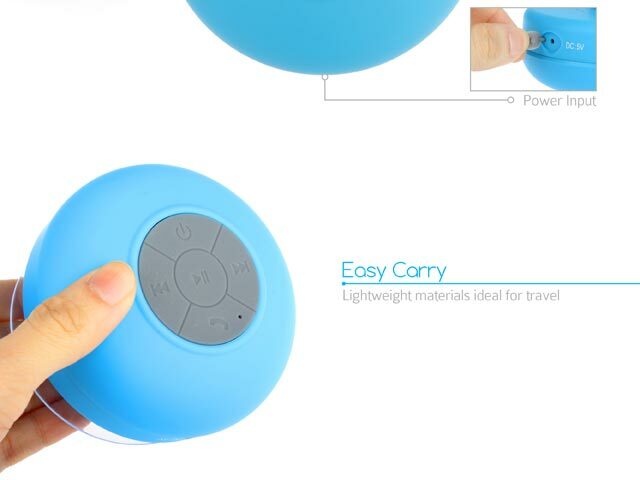 This bluetooth speaker features water resistance IPX4 is designed for the use in bathroom. 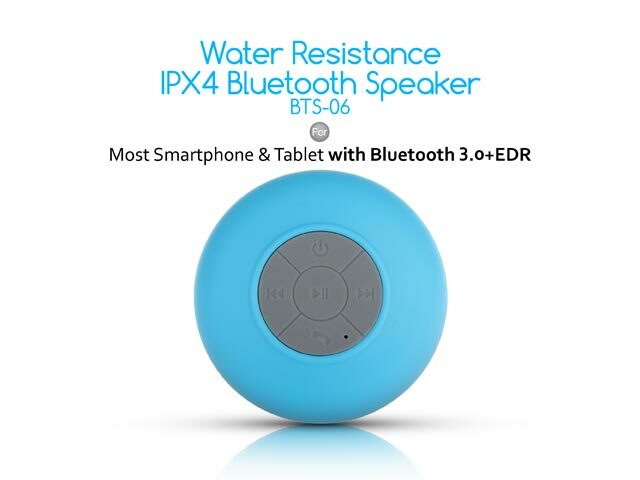 Lets you sing along in shower while it streams music from any Bluetooth player. 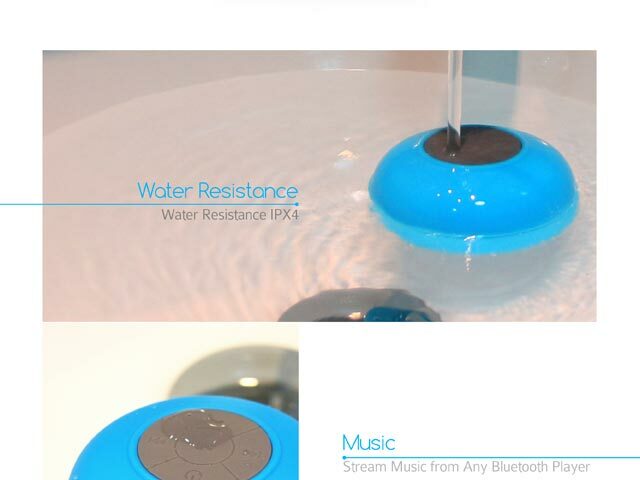 Thoughtful design of built-in mic which allows you to answer calls during shower. 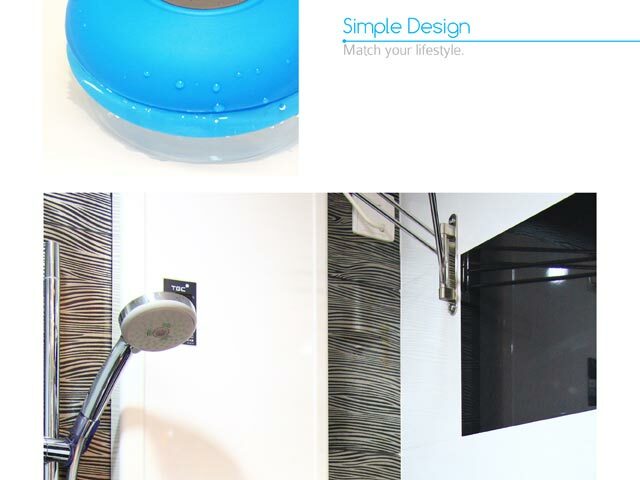 Sucker mount designed to mount it on the bathroom wall, the mirror or the shower glass door.